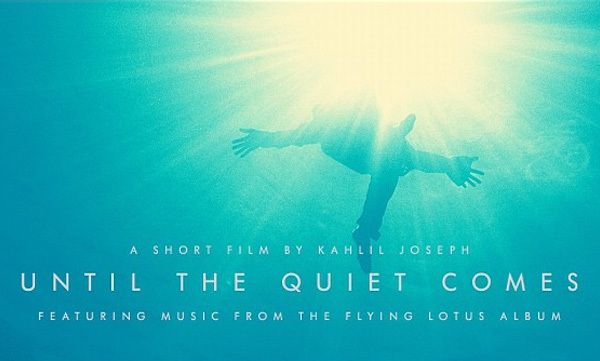 As the anticipation builds for LA-based electronic producer Flying Lotus’ (aka Steven Ellison) album Until the Quiet Comes, set for a October 2nd release, he’s teamed up with filmmaker Kahlil Joseph for a short film to highlight some of the album’s most notable tracks. These tracks include features from Erykah Badu (“See Thru to U”) and two tracks with Niki Randa (“Hunger” and “Getting There”), while the visuals present a dramatic and unfortunately all-too-well-known scene to the cuts of Los Angeles. FlyLo’s already tweeted that Until the Quiet Comes will be significantly different from his acclaimed debut Cosmogramma, as he doesn’t want to be redundant, and this film gives a small taste of what we can expect. Watch the 4-minute film below and pre-order Until The Quiet Comes on iTunes.